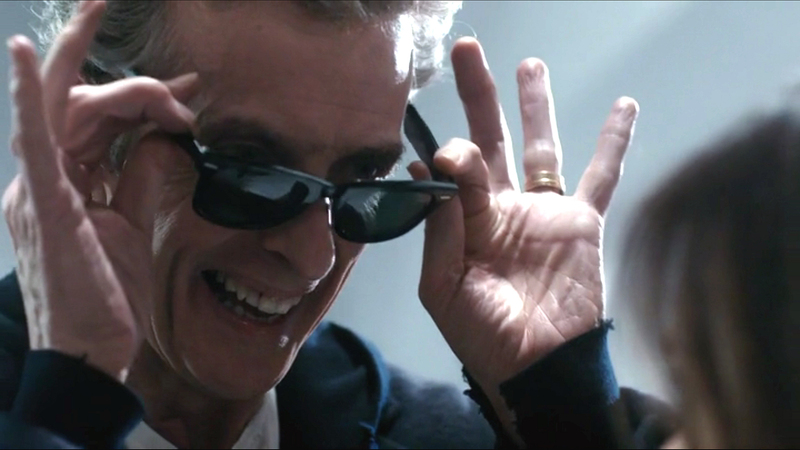 Moffat Makes the Doctor’s Sonic Sunglasses Sound Cool! When the Doctor… er, “loaned” his sonic screwdriver to Davros in “The Magician’s Apprentice,” he relieved himself of his trademark instrument — and that had to be replaced. Enter: the sonic sunglasses, a hopped-up, high-tech version of Ray-Ban Wayfarers. Fan reaction was predictable: This was the end of the world! Showrunner Steven Moffat — frequent target of fan venom for shaking up the status quo — sent more people running for the hills than the Untempered Schism ever did.